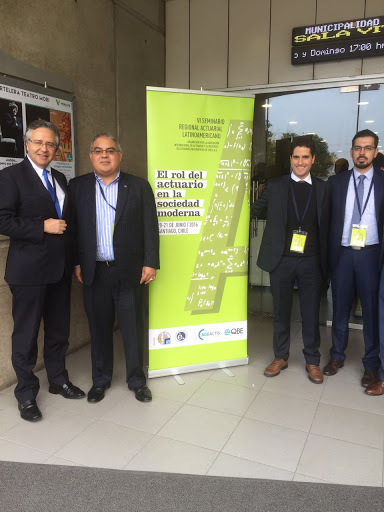 Last week I attended the IAA (International Actuarial Association) Actuarial Regional Seminar in Latin America, which was held in Santiago, Chile. 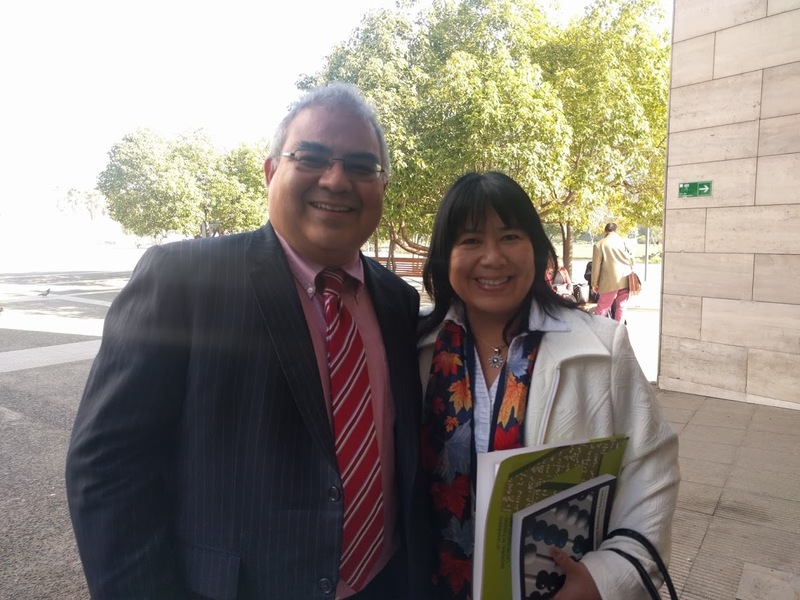 The Chilean actuarial society (Instituto de Actuarios Matematicos de Chile) is an Associate member of the IAA, and I was joined at the seminar by over 100 international actuarial professionals from countries such as Brazil, Chile, Ecuador, Peru and Venezuela. In most of these countries, the regulations for loss reserves and for capital requirements are changing and moving in the direction of Solvency II, and thus they have an increased need for actuaries that are capable of helping companies meet these changing requirements. Tom Terry, president elect of the IAA, talked about the role the IAA plays in providing assistance to growing actuarial organizations, and the role it plays as a main contact to other global organizations, such as the World Health Organization (WHO) and the World Bank. Dr. Eduardo Melinsky from the University of Buenos Aires gave a talk on professionalism, and how important it is for the actuary in his dealings with the business. The seminar featured technical talks that covered Pillar I of insurance, capital modeling, actuaries and risk management, and estimating the tail of a distribution. There are also now a few universities in Chile that are working at launching an actuarial science degree, and one is already in progress. In Peru, the actuarial society has just been created, and they will soon start recruiting members. The actuaries in Ecuador are looking to create a society there soon. Some in Chile believe that the local actuarial society and its stakeholders should decide how actuaries are trained; local universities would provide the groundwork by providing resources to prepare students for the career. All in all, the seminar offered great insight into the state of the actuarial profession in Latin America – during breaks between sessions, attendees from various countries shared conversations about the development of actuarial practices and the ongoing progress that continues to be made for actuaries on an international scale. Alejandro Ortega, FCAS, is an actuary and educator working to advance the education and training of actuaries in Latin America. He serves as chair of the CAS Latin America Regional Committee and is also vice chair of the CAS Diversity Committee. He is the former chief actuary for Latin America at AIG. Posted in International and tagged Actuarial Regional Seminar, Chile, IAA, Latin America, Solvency II, WHO, World Bank, World Health Organization.